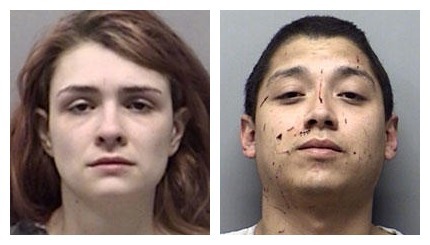 North Texas deputies responding to a domestic disturbance at a home near Rhome, Texas, discovered two young, malnourished children locked together in a dog cage while two others inside the house who were also malnourished. Wise County authorities say they were taken to a hospital for evaluation. The parents, who had been fighting, face charges of child endangerment and are being held without bond.